I’m sorry I wasn’t on yesterday. 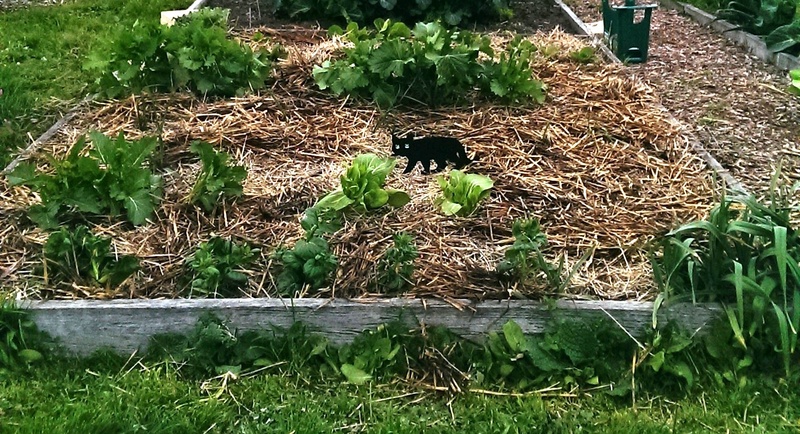 I went off to our plot at the Ballarat Community Garden and didn’t get back for 3 and a bit hours. After all that weeding and mulching I was ever so tired and typing and internetting wasn’t really something I felt up to. 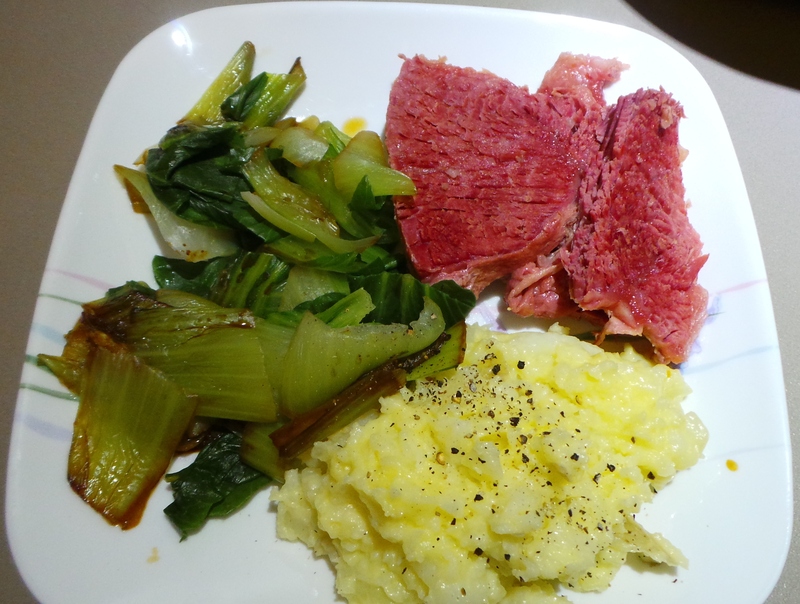 Thankfully, I had put a corned beef on to cook in the slow cooker before I left, so there really was nothing left to do for dinner. That is, beyond mashing some spuds and cooking the Pak Choi I had just plucked from the aforementioned plot. I had been followed home by a massive rainstorm, so it was doubly nice to tuck in to my meal knowing that (a) I had missed a drenching and (b) I didn’t have to do anything else that evening. Today, I finally finished the shopping and hit the green grocery – so I’ll be publishing lists tomorrow. 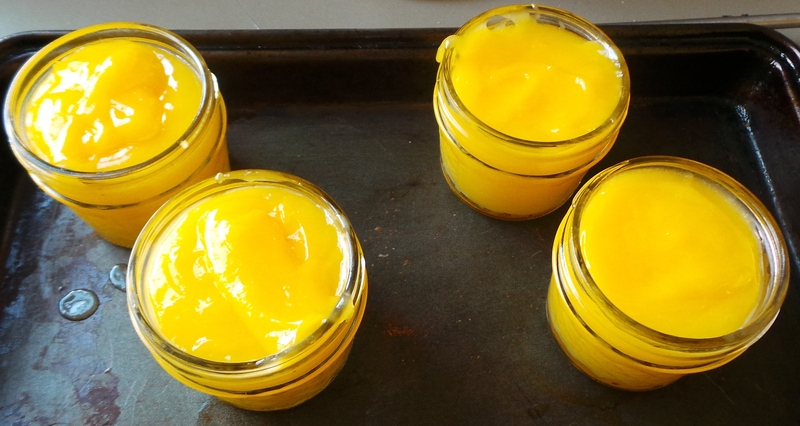 I also managed to make some Lemon Butter with my friend Althea’s eggs, and my friend Stephen’s lemons. Then I started an experiment. 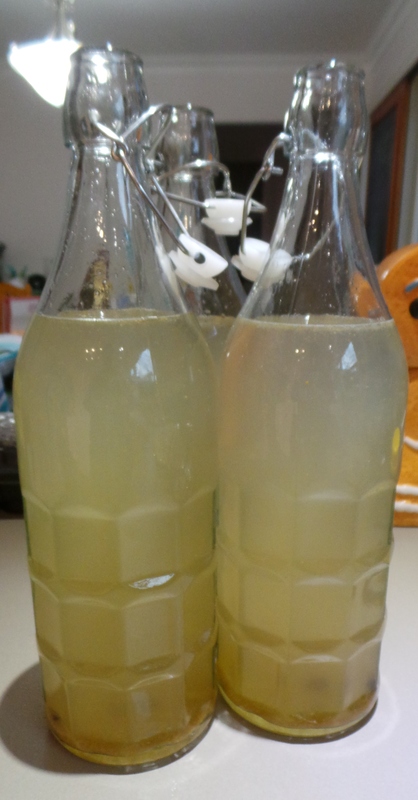 There is a recipe for ginger beer in my mother’s collection and I have been meaning to try it for some time. This is that time. I’ll tell you in a few days if I was successful, but this is how it looks right now. Tonight we shopped the fridge and I had vegetarian bean curry and the boy had honey teriyaki chicken; both over rice. Tomorrow we will be starting the day with a celebratory breakfast. I have some brie in the refrigerator and some croissants in the freezer. These two shall be combined. We have finance, Peeps. Life is good.